According to a delightfully dense Wikipedia entry, the sentence has been kicking around ever since it was first discussed in 1972 by an associate professor at the University Of—wait for it—Buffalo. 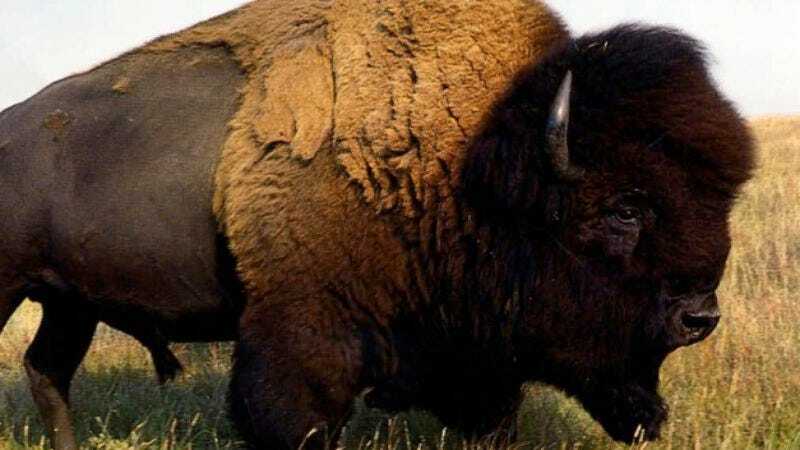 Though confusing at first, it can be better understood when you realize the sentence is referring to buffalo (the animals) from Buffalo (the city) who are buffaloed (bullied) by other buffalo (animals) from Buffalo (city) are also buffaloing (bullying) other buffalo (animals) from Buffalo (city). Got all that? No? Try parsing it out this way, again courtesy of Wikipedia: “[Those] buffalo(es) from Buffalo [that are intimidated by] buffalo(es) from Buffalo intimidate buffalo(es) from Buffalo.” Got it now? Good. Now, keep repeating the word “buffalo” until it no longer has any meaning, and consider your daily intake of ridiculous buffalo fun facts satisfied. Buffalo.